Hey guys @TheOriginalTiki and @JokersWild thanks so much for putting me in the game it was a great time. Would love to stay but I'm very happy with the game I played. Good luck to the rest of the competitors. Also I would love to compete in more competitions anyone know any looking for players let me know. You did great, which is why you were eliminated. Hope to see you later! @Matt7187 is hosting a competition called "The Choice" with sign-ups starting late-September. With the little bit I've heard about it, it's going to be something special, so you should definitely join! The Qube ride system was developed by Walt Disney Imagineering in an attempt create a ride system with the loading capacity of Pirates of the Caribbean, the interactive capacity of Autopia, and the technological complexity of Pooh’s Hunny Hunt. 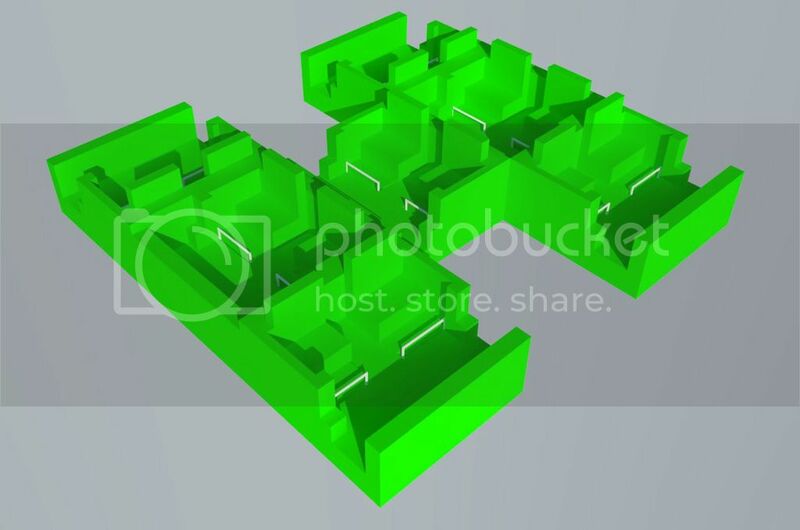 In short, the Qube takes aspects from these three model attractions to create ride experiences that have never been achieved in this particular fashion. Imagineers noted that creating a new and versatile ride technology was the main goal here, and the Qube system certainly delviers on this. Guests board a “moving puzzle” of sorts. 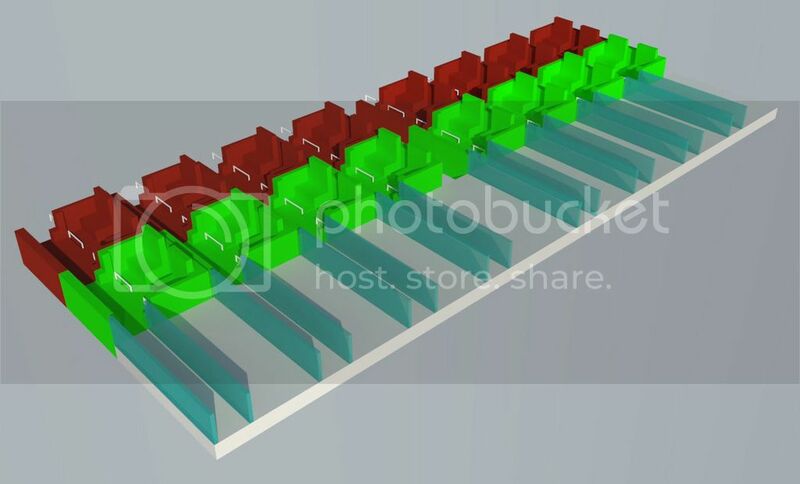 As they approach the ride station, they might find a vehicle composed of various multicolored "Qubes" or a single line of the same vehicles like in classic omnimover attractions a la Haunted Mansion. The vehicles can take on any specific arrangement, and while guests may think that they are boarding a single vehicle, they might be surprised to learn that this one vehicle is actually made up of several individual vehicles altogether. These individual vehicles typically hold 2 guests, who sit side-by-side. Guests might find an individual spring action shooter in front of them, or perhaps a spinning lever; this is all contingent on the attraction’s theme. After every guest is seated, all of the lapbars on the collective vehicle will close simultaneously, and the entire vehicle will be dispatched; this is where things get most interesting. Shortly after the collective vehicle is dispatched, a Local Positioning System (LPS) will divide all of the sub-vehicles, sending them straight into the first show room of an attraction. At this point, the vehicles can travel individually in any pattern Imagineers should desire. Because the vehicles are programmable, they will always return to the station the same way they left, making the entire experience seamless to guests. The vehicles’ paths can be predesigned and programmed, or they can travel along a fully randomized path, and because they take up such little room, roughly 5 x 5 feet, Imagineers can squeeze guests into nooks and crannies that simply wouldn’t be possible with larger ride systems. Of course, it’s worth noting that the vehicles can take on virtually any form, not just a box. Or if they prefer, they can arrange the vehicles to take up more space in the attraction if it suits their needs better; the possibilities are rather endless. Imagineers could program the vehicles to create shapes like triangles and circles, “dance” in specific patterns and arrangements, and even connect and disconnect on demand. This is a highly inntuitive ride system that can be rearranged, reprogrammed, and completely tailored to any attraction that Imagineers should desire at any time. In other words, it’s not so much the vehicles themselves that matter, it’s the fact that they can be arranged in any pattern to best accommodate the needs of the attraction. The most important element of this ride system is its versatility. This is the first time that Imagineers can truly rearrange not only the paths of attraction’s themselves, but their loading arrangements as well. What this system does is give Imagineers the opportunity to essentially take an attraction apart without actually taking it apart. It can solve a multitude of problems in terms of time and space; it’s customizable in every way and at any time, taking up any shape, and it can take on any medium including dark ride, shooting gallery dark ride, or even both. The ride system will be perfected by the year 2025, just in time for the announcement of the newest Disney resort: Disneyland Australia. While Imagineering has not disclosed the full nature of the ride system in regards to its use in future attractions, it has confirmed that the system will be used for three of its attractions. This “next generation” rendition of the Haunted Mansion will attempt to bridge the classic elements of the familiar attraction with the pizazz of Mystic Manor. Imagineers have hinted at the possibility of guests being able to control their vehicle as they explore the mansion. The ride system should prove very useful in this attraction, as Imagineers might have guests board in various manners depending on the park’s crowdedness. This flat ride will have guests board their very own toy “block” and spin freely through a large playground-like environment. 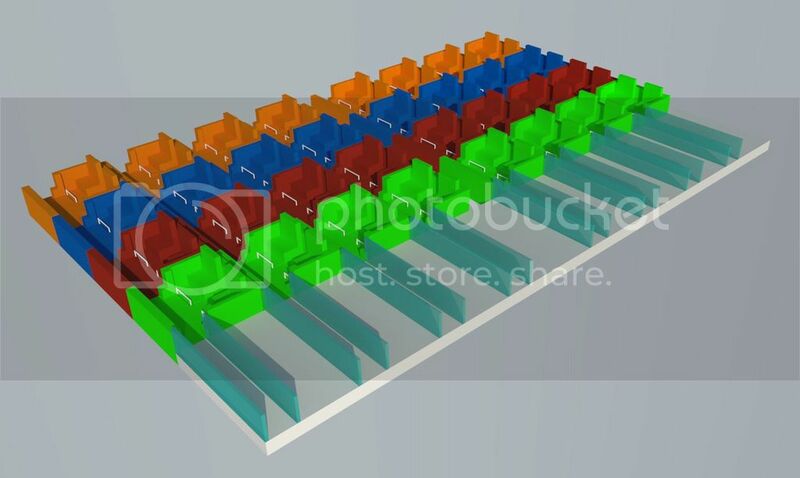 Guests might find that if they happen to bump another block, they will be connected to it and travel along its same path, creating a chain of moving, spinning blocks, the perfect use for this ride system. This flat ride will have guests board LED-lit “pixel” cars that can create basic shapes with other vehicles during the attraction. The ride system’s ability to arrange shapes will prove quite useful for this attraction. Week 6: "...Meets Technical Know-How"
To be honest, my all-time favorite ride systems are 1. the aerial track system used for Peter Pan's Flight, and 2. the trackless LPS system. And when I found out that this week's challenge involved making a new ride system for Disney, I leapt at the chance to finally combine these two things. When you look at current trackless rides, the main point is just to see that the vehicles in front of you follow a different path that you take. To emulate this for an aerial-track ride, where you obviously must be supported by a physical track, this ride will have 3 different tracks that load in a straight line, but separate and pass through the scenes along different paths. Each of the 3 tracks are within an inch of 1046'. The paths will not cross, that would be exceptionally complicated. In load and unload the 3 tracks follow parallel close to each other, with just enough room for the mechanism to sit over the track and hang the vehicle. The vehicles for each of the tracks are different so that the seating compartments line up in load and unload, meaning that the left vehicle cantilevers right under the track and the right vehicle cantilevers left. As far as I know, this system does not exist currently. The vehicle seats 2 per row with 2 rows. This system's biggest issues is the access to the maintenance bay since it cannot just split and pass directly into a backstage area. After some thought, I decided that the best decision would be that at some point in the path, each track has a split that gently descends down to the basement, passes underneath the scenes of the attraction, and rises again in the maintenance building to the east of the show building. I also considered track splits into small bays that contain a track elevator, moving the vehicle down to the basement, but that would radically slow the process of moving vehicles. One of the things that Disney's Animal Kingdom is sorely lacking is a dark ride. And what better source for a dark ride could there be than one based on one of Walt Disney's most beloved films? This would be the first Disney attraction to utilize this new system. The attraction is located nearby Flights of Wonder in the Asian section of the park. The reason I put it there is because there's plenty of open space there. This, of course, would expand out Anandapur, but the movie’s locale fits easily into this faux Indian setting. The facade of the building is a crumbling stone temple, like the temple of King Louie. Before you actually get into the attraction, a side path would lead to meet and greets with the characters from the movie, particularly Mowgli, Baloo and King Louie. Plus, I've heard that when the Journey into the Jungle Book show was here, you would often have King Louie’s monkeys causing mischief along the path to Discovery Island, trying to entice guests to go see the show. I would bring those monkeys back for meet and greets and general mayhem. They would be an awful lot of fun. Maybe there could be a rare sighting of Colonel Hathi, as well...or maybe even Shanti (that would be incredible). The queue path takes us over the stream and into a cave to the left of the temple. In this cave, you'll find out that the queue actually doubles as an animal exhibit! Amongst the ruins that are being reclaimed by the jungle, I would put in exhibits for smaller, but no less important, critters of the Asian rain forest.As the ruins are being overgrown, little things like lizards, snakes and spiders would be moving in. Some examples would include the green snake and the red tailed rat snake. Both of these reptiles are fairly commonly found in zoos and make great exhibits. A good creepy animal would be a hunstman’s spider. Many kinds of these spiders live in Asia. They are huge and hairy and looking at them makes your skin crawl. Perhaps there could be a submerged section of the ruins that is now home to the unusual snake-necked turtle. And I wouldn’t leave mammals out, either. Prevost squirrels do well in captivity, are fun to watch and, with their bizarre color pattern (mahogany fur on the belly and black and white up top), they make fun zoo animals. We exit back out into the jungle, now inside the show building. We approach load, where we see a line of hanging vehicles, looking like carved tree trunks, hanging by vines from the canopy above. Of course, the plot turns to the monkeys. On this attraction, you will have animatronic monkeys on both sides of you as well as above you with one coming awfully close to the top of your head all the while mocking Baloo and stealing his man cub. At this point, the ride takes you to King Louie himself singing “I Wanna Be Like You.” I envision this scene to be big and wide open, not unlike the Under the Sea part of the Little Mermaid dark ride. The end of this part of the scene would have the stone pillars coming close to crumbling and falling around you. Mowgli, of course, runs away again, and we meet Kaa dangling over the river looking at you with his hypnotic eyes. We finally meet Shere Khan and the vultures. There's a great big climax scene, where Mowgli, Baloo, Bagheera and the vultures all fight off Shere Khan. A neat fire effect would come into play. The boat ride then ends with Bagheera and Baloo watching as Mowgli and Shanti go off into the man-village. The exit to the attraction would be a replica of the man village (and since this is Disney this would likely be a gift shop--the Bare Necessities gift shop, if you will). If you think Disneyland Paris' Fantasyland is beautiful....well, it is. But yet, despite its beauty, some of the stories represented in other Fantasylands just aren't represented here. Case in point--Winnie the Pooh. Well, yes, there was a show here--Winnie the Pooh and Friends, too--that played for many years, but that's not enough for me. So, with that said, I'd like to take this new technology and bring it to an all-new take on Winnie the Pooh. The ride's entrance is located where the Mickey Mouse meet & greet is today. Fittingly enough, that space is located in the "British" part of Fantasyland, right next-door to Peter Pan's Flight, the Toad Hall restaurant and Alice's Curious Labyrinth/Mad Hatter Tea Cups. Tigger provides the safety spiel, which goes like this. “Hello out there! It’s me, Tigger—T-I-double “guh”-er! We’re ready for you to come along on a big adventure in the Hundred Acre Wood, but we want you to be safe, cause being safe is what Tiggers like best. So please, stay seated in your balloony with your hands, arms, feet and legs inside and to all you grown-up types out there, please watch your adora-ba-ble children. Hoo-hoo-hoo-hoo! Have a wonderful time on Winnie the Pooh's Most Grand Adventure! T.T.F.N.—ta-ta for now! Bonjour là-bas! Il est moi, Tigrou! Nous sommes prêts pour vous de venir le long d'une grande aventure dans la Forêt des rêves bleus, mais nous voulons que vous soyez sûr, la cause étant sûr est ce Tigrous comme meilleure. Alors s'il vous plaît, restez assis dans votre Balloony avec vos mains, les bras, les pieds et les jambes à l'intérieur et à vous tous, les parents, s'il vous plaît regarder vos enfants. Hou-hou-hou-hou! Avoir un temps merveilleux sur Les Aventures de Winnie l'ourson! " Once all are aboard their balloon, we pass by a wooden sign reading "This way to the Hundred Acre Wood (De cette façon, à Forêt des rêves bleus". Suddenly, the balloon sails over a group of trees (the other side of which is not seen by guests until they pass over the trees) and into the first scene of the ride: The Blustery Day. This section of the ride uses an aerial track a la Peter Pan. "A Rather Blustery Day" plays as an instrumental and wind blows across the land (slightly shaking the balloons a bit). We first pass by Pooh as he flies his balloon over to the Hunny Tree in order to get a small smackarel, as he says, “I’ve got a rumbly in my tumbly. It must be time for something sweet!”. Like in the Tokyo Disneyland version, the audio-animatronics used on this ride not only blink and move their mouths when they speak, but they’re also quite fuzzy, like real stuffed animals. As we move around the room, Pooh flies above our heads, and in the middle of the room is Owl’s house, where Owl sits outside in his rocking chair blabbering about his relatives. Piglet is clinging to another branch, hoping that he won’t fall out of the tree that is currently rocking back and forth. Across from Owl’s house, we find Rabbit’s garden, where Rabbit is clinging to his wheelbarrow for dear life. “Oh, why do these things always happen to me?” he groans. “Why oh why oh why?” Just then, Pooh flies through his garden, knocking some vegetables into his garden. “Thank you, Pooh!” the rabbit says. Nearby, Gopher pops out of his hole and wishes us a Happy Windsday. Meanwhile, over at Kanga and Roo’s house, Roo is hanging from a kite that Kanga is holding. “Hang on tightly, Roo!” Kanga yells. “Look, Mama, look! I’m a kite!” Roo replies. As we leave the room, we pass by Eeyore standing nearby his house...which Pooh promptly knocks over. “If you ask me, he’ll never reach that tree,” The donkey sighs. But before we leave the room, we see one more sight – As we pass by a clump of branches across from Eeyore’s house, we see Tigger jump out and say, “Come on, everybody! Let’s all bounce together!" As we pass by Tigger, we enter the forest at night, setting up the next scene--Tigger's Bouncy Forest. In Tigger's Bouncy Forest, we pass through a part of the Wood at nighttime, and taking advantage of Tigger's invitation, our balloon actually starts bouncing alongside Tigger. This is accomplished by having the balloons be installed with a mechanism that allows them to rise up and down, imitating the feeling of bouncing. This segment should be very identical to the one seen in the current Magic Kingdom version. As we exit the Bouncy Forest, we then pass by Pooh's House. Outside of the house, Tigger has pounced on Pooh. He warns him "Watch out for Heffalumps and Woozles. They steal honey." "Steal honey?!" Pooh reacts. Then, our balloon starts to slow down in speed and we creep in through the front door of Pooh's house. Inside, we stop in front of Pooh, who has fallen asleep in the middle of his vigil. Suddenly, the house disappears into a starfield as the balloon standing nearby turns into the head of a Heffalump. Weirdest of all, Pooh begins to float through the starfield as we hear Tigger's ghostly voice intone "Heffalumps and Woozles...Heffalumps and Woozles steal honey...beware...beware!" We travel through the starfield and find ourselves inside Pooh's Dream World. Here, Pooh's mysterious and wacky dream world haunted by Heffalumps and Woozles. Unlike other versions, the walls of this scene are not inky-black, but rather, they flash in different colors, a la the backgrounds during the "Heffalumps and Woozles" scene in the short. This scene is largely identical to both the Disneyland and WDW versions of the ride, so elements of both will be taken. But however, as we exit, two evil-looking watering cans spray us with a fine mist. We spin through a tunnel decorated with raindrops. Occasionally, the tunnel walls flash and thunder is heard. 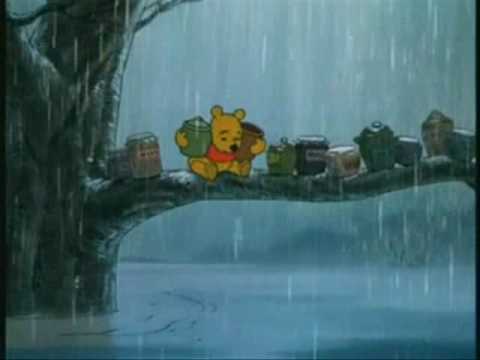 Above the thunder, we hear Pooh's friends call to us, saying things like "Wake up, Pooh! A flood's coming!" We exit the tunnel through a log and find ourselves back in the Hundred Acre Wood, only now, it's been a victim of The Flood. We float (much like Florida's ride, the sensation of floating is added onto the ride vehicle) along the waters of the flooded Wood as projected rain falls along the walls of the area. An instrumental version of "The Rain, Rain, Rain Came Down, Down, Down" plays. We pass under a branch that Pooh and ten honey pots sit upon. “Oh, my! I must rescue my supper!” the bear says. Next, we pass by Eeyore, whose tail Roo is holding onto. “First the wind, and now this,” the donkey sighs. “Well, at least there hasn’t been an earthquake lately…” Rabbit, Gopher, and Kanga are sitting in an upside-down umbrella boat. Nearby, on a log, Owl sits in a rocking chair, continuing to talk about his relatives. At the end of the scene, we see Tigger (his tail tied to a branch for support) reaching out to Piglet, who is standing on a chair about to go over a waterfall. Basically, it’s the same setup as the current version of the ride, only with fuzzier characters. “We’ll save ya, Piglet!” Tigger yells. “Hurry, Tigger! We’re about to go over a waterfall!” is Piglet’s reply. As we move along, we hear Tigger ask, “Did you say waterfall?” and promptly go tumbling down a small waterfall (think around the size of the drop on Pirates of the Caribbean). As we land at the bottom, we are splashed with water. Finally, we pass under a rainbow as we hear the narrator say that “At last, the rain went away, and everyone gathered together to say… ” “HOORAY!” Pooh’s friends all yell, finishing the narrator’s sentence. We are now at the final scene of the ride, The Hero Party. 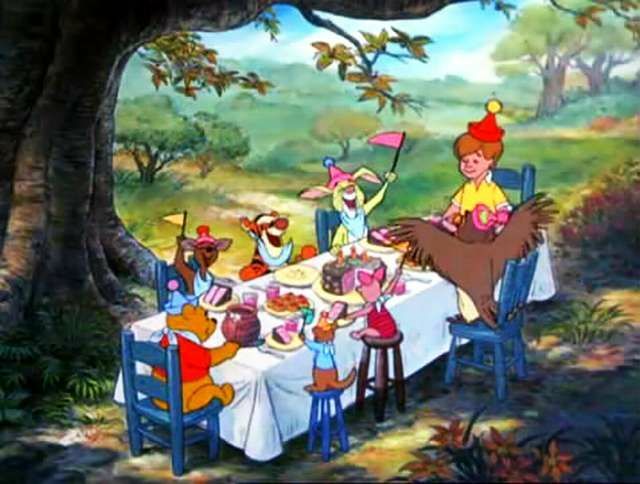 All of our Hundred Acre Wood friends are seated a table, having a jolly old time. “Hooray for Pooh, too!” Piglet adds. “Speaking of which,” says Tigger, “Where is that silly old bear?” “I’m right here, everyone!” Pooh's voice reassures his friends. We pass by Pooh, happily sitting inside the Honey Tree, eating all the honey his rumbly tumbly can eat. "But you can start the party without me", he says as we pass by. ...and pass by an animated storybook page that reads "The End", and has all of the Pooh characters waving goodbye. With that, we head back into the loading area and exit. Despite having a couple dark rides in the park (Mystic Manor, "it's a small world", The Many Adventures of Winnie the Pooh and Buzz Lightyear Astro Blasters), what Hong Kong Disneyland really lacks is an aerial-track dark ride. So, with that said, I propose a "Fantasyland expansion" if you will for Hong Kong Disneyland, which will feature this all-new ride. Located a few feet away from the Fantasyland railroad station, you'll find yourself at 17 Cherry Tree Lane, home to the Banks Family. The queue begins by winding through the bottom floor of the house before exiting a side door into an elegant garden, still inside the showbuilding. For high traffic times, the overflow queue would run on the sidewalk on the exterior of the showbuilding. From there, the standby and wheelchair offshoot queue and the fastpass queue reach the distribution point. The ride vehicles are chariot-esque vehicles, pulled by the carousel horses. To hide the track, above the vehicle is a replica of Mary Poppins' umbrella. The loading area's mural is designed as a chalk picture centering around characters and scenes from the movie. At the far right-hand corner of the loading area is a chalk drawing of Cherry Tree Lane. Once all are aboard their chariot, they enter into the drawing and into the ride. After going through the chalk picture of Cherry Tree Lane, the guests find themselves in a recreation of the London street. A magical medley of Mary Poppins songs can be heard, and the guests can spot Mary Poppins sitting on a cloud above them. Bert stands by, dressed in his one-man-band outfit. The horses jump over the garden gate of 17 Cherry Tree Lane, and float up the steps and through the door. Inside, they find Mrs Banks, cook and and the household staff in their suffragette banners. In the corner, a small fireplace has ripped up pieces of a letter on the coals. The horses turn and head up the stairs. At the top of the stairs is the Nursery, where we come face to face with Mary Poppins, Jane and Michael in the midst of singing "A Spoonful of Sugar" and tidying up the Nursery. Toys have come to life, dresser drawers open and close of their own accord, and a robin rests on the window sill, whistling along to the tune. On a table, a six foot lampshade sticks half out of a carpet bag. We leave the Nursery to once again join Bert, dressed as a chimney sweep, with his chimney sweep brushes and overalls lining the floor in front of a sooty fireplace. He sings "Chim-Chim-Cher-ee" to us as he beckons us towards an open window next to him, which we jump out through into nighttime London. Now outside the window, we are on the rooftops - smokestacks billowing around us up into a nighttime sky, and a crowd of sweeps dancing on the chimneys, singing merrily to "Step in Time". The carousel horses spin and move amount in time with the music. The chariot floats down from the far side of the rooftop, and slowly turns around so they’re traveling backwards, as they descend down towards St Pauls Cathedral. We see the Bird Woman, bags of breadcrumbs on her lap, and hear Mary Poppins singing "Feed the Birds". Perched on the steps, hundreds of pigeons serenade the guests with gentle cooing. We head through a large iron gate, back into daytime, returning to Cherry Tree Lane. Along the pavement are a number of chalk drawings by Bert - a scenic river, a three ring circus, a picturesque British countryside. We jump over the paintings and through some bushes. We’re now in one of Bert’s drawings. The realism of the previous sets is gone in favor of cartoon characters and landscapes. Farmyard animals sing along to "Jolly Holiday", while penguins dance with Bert and Mary Poppins watching on. We round a corner and find we have stumbled upon a horse derby. A stout man with a big moustache fires his pistol and the race begins! 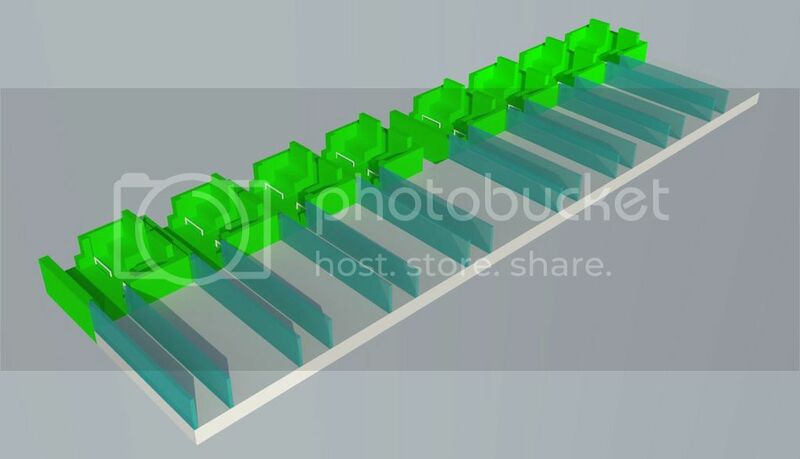 This is where the three-track system really comes into play. Here, the chariots race against each other down a grass track, over hedges and fences as Michael, Jane and a bunch of colorful cartoon spectators cheer them on to the tune of "Supercalifragilisticexpialidocious". Each ride has a different winner before the chariots group back together, and head around the final corner. The chariots head into the park, with hundreds of kites filling the sky. The Banks Family stand happily, flying their own green kite, as we hear the choral rendition of "Let's Go Fly a Kite" that ends the movie. As we head out of the park, we see Mary Poppins flying off and hear Bert say "Goodbye, Mary Poppins. Don't stay away too long..."
And there we have it...the all-new aerial LPS system! I'd like to apologize for the brevety of this presentation, I just started college and was overloaded with work and moving in with little freetime to put into this. What is Reve? Reve is Disney's newest, grandest, most amazing ride system made since the omnimover. With this new system, even individual seats can move independently away from the ride vehicle. Using a combination of both tracked and trackless technology, infinite worlds can be made with this brand new technology that is sure to once more set the standard! The title comes from the French word for dream and for good reason. Anything that can be dreamed can be brought to life with Reve. 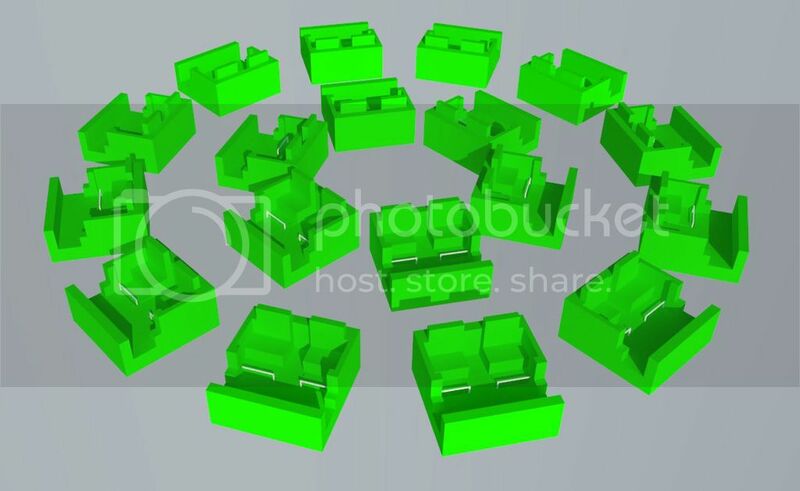 The Haunted Mansion is traditionally an Omnimover, but I propose to toss the old system out for a new grand tour of the mansion where each tour is different no matter what seat you sit in. While starting with the traditional stretching room and foyer, after that is anyone's guess where you go. One trip could be through the greenhouse and to the attic, another could be through the living room and around the ballroom. Anything is possible in this grand reinvention of The Haunted Mansion. Just make sure that a ghost doesn't follow you home. Join Cinderella as she escapes from the Prince's ball as midnight strikes. As each chime of the bells goes by, each seat of the vehicles separate. Try to find Cinderella as you dodge guards and trees as you journey through the forest, before the Fairy Godmother sets all to right and Prince Charming finds Cinderella. The villains have teleported you and your fellow guests into their realm, and you must escape before you fall into their evil clutches. Each ride starts with an encounter with Maleficent, who separates you from your companions and each faces off against their own villain, before coming together in a epic confrontation with Chernabog, before the day is saved by Mickey Mouse. The Enhanced Motion Boat will be similar to and EMV, except be halfway submerged in water. It will be to move in a variety of ways, that will bring new possibilities for future versions of classic attractions, such as The Jungle Cruise and Pirates of the Caribbean, and for new attractions as well. Creativity: 7.5/10 I really like how you combined different technologies together and that it can be used for both dark rides and flat rides. The only thing that bumps it down a bit is I feel like these are a little too similar to an Omnimover. Realism: 8/10 You did a good job explaining the titular "technical know-how" of the project. Detail: 8/10 Certainly well represented. Presentation: 9.5/10 The images definitely made this project. Great job showing the different variety of things this tech can accomplish. Creativity: 8/10 I like the passion you put behind this, and it's a great combination of ideas. Realism: 9/10 Again, you did an excellent job of grounding this project and making sure everything was well explained with keeping in the realm of possibility. Detail: 7.5/10 While I appreciated all the detail on the rides, the point of the assignment was more on the tech itself. Presentation: 7/10 Appreciate the effort on the drawing, but other than that fairly bare-bones. You did a great job explaining why Pooh and Poppins could utilize this system, but I got a bit lost with Jungle Book. Creativity: 7/10 Pretty par for the course of our batch of projects. Once again you took two tech concepts and combined them together. Realism: 8.5/10 I'm honestly surprised something like this hasn't been attempted yet. On the downside though, you could have explained better how the system actually works. Detail: 2/10 Sorry, but this is really bare-bones. Creativity: 9/10 Out of all the submissions, this was the only one to really come up with something out of left field instead of relying on combining two different ride systems together. Props for that! Realism: 7/10 Again, I can definitely see it working but I'd like more of an explanation on the practicality of the tech. Detail: 8/10 It was short but actually really well written and conveyed in good prose what the ride experience would be like. Aside from that, this is a very interesting concept. I do enjoy that you took the trackless system and really pushed it one step further, allowing rows of vehicles to break apart. I do also enjoy your focus on the fluidity of this ride system, as it does seem incredibly easy to reprogram. All in all, this was a good project, I just wish that you went just a bit further and explained some of your ideas a bit more. Creativity: 7/10 - While I think that this is a very novel concept, it stuck just a bit close to trackless for my liking. Realism: 8/10 - Very realistic. Everything sounded really solid. I've docked you only because I'm a bit iffy on having guests actually control the vehicles. If this was clarified in the project, the grade would probably be higher. Detail: 8/10 - No problem here. Presentation: 7/10 - No problem here. This is a rather interesting idea. If I'm reading correctly, it kind of feigns trackless and randomness. That's rather ingenious, actually, and yet so simple. I do wish that you tried to work out a truly trackless suspended ride, but, obviously, gravity is a problem. Nonetheless, this was a very interesting concept. Creativity: 8/10 - Very interesting ideas to kind of hide the tech. Realism: 8/10 - I could definitely see this becoming a thing. Detail: 7/10 - Good amount of detail, though I wish you focused more on the tech than its' utilization. Presentation: 7/10 - No problems here. This is a very interesting concept. It's very similar to BasketBuddy's yet quite different at the same time. One question I really have is how does this system combine track and trackless? That sounds really odd to me. My only other problem is that the vehicles separate by seat. To me, that seems to lead to a very lonely experience in a attraction. While an interesting idea, I just wonder how it would work in real life. Realism: 6/10 - Not terribly unrealistic. I only really worry about the tracked/trackless thing as well as the fact that the seats separate. Detail: 5/10 - Definitely could have used more. Presentation: 6/10 - Could have been better. I would have loved to hear more about this. I like that you brought the EMV to water rides. It's a concept I've seen many times before, but you pulled it off rather nicely. I don't really have much more to say because there wasn't a ton of detail here, honestly. Creativity: 7/10 - I've seen this concept before. Not a bad idea - just not the most original. Realism: 8/10 - I could definitely see this working, if they worked out the tech. Detail: 3/10 - There isn't really anything here. Presentation: 6/10 - Not much here. Which means congrats @Basketbuddy101, for the third time this game you have become this week's Head of Household. @IDInstitute has given the FINAL Nomination Immunity to @DisneyManOne, which means only IDI, @Flippin'Flounder, and @mickeyfan5534. As always in the event the Veto gets played, DisneyMan is fair game as a replacement nominee. @Basketbuddy101 please announce in this thread your choice of the two out of three eligible Houseguests to go up as nominees. This week's Veto challenge will take the concept of putting on Armchair Imagineering competitions to the next level. 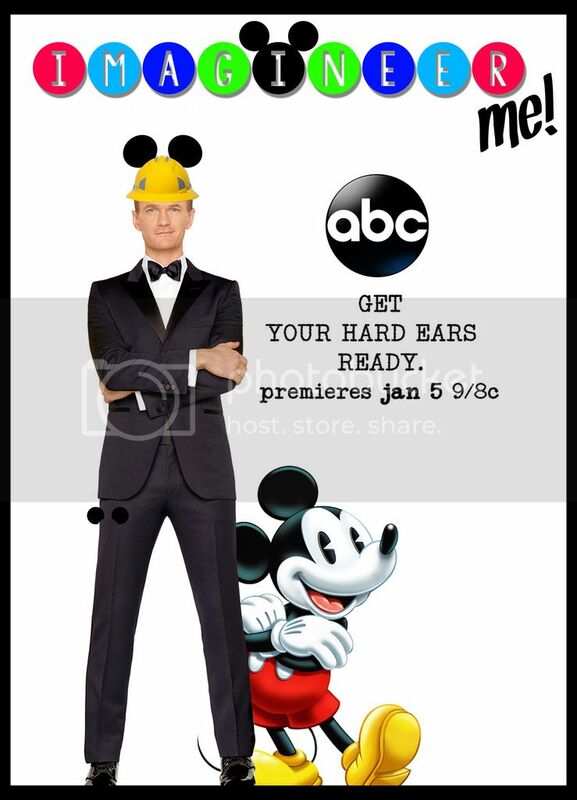 Hypothetically, let's say ABC has come to you to be the producer of a new competitive reality show based around the concept of people competing for a position as a real life Imagineer. You must pitch an Imagineering reality show. Your proposition must include the following details. In addition to this, you must "recruit" at least three real world people for the cast. These people can be anyone in the Disney fan community NOT currently working in Imagineering. It could be anyone from a Youtube celebrity to a famous Disney fan to even a member of this board. Keep in mind the likelihood of your show actually casting said people will be accounted for in your realism score. This is probably one of the most exciting challenges of the season. All houseguests will be competing. "The Sole Imagineer" host @RMichael21 will be a guest judge for the round! Good luck houseguests. This project is due Friday, August 29th at 11 PM Eastern. Also, hey there. Yes...you! You looking for another exciting Imagineering competition to sink your teeth into? 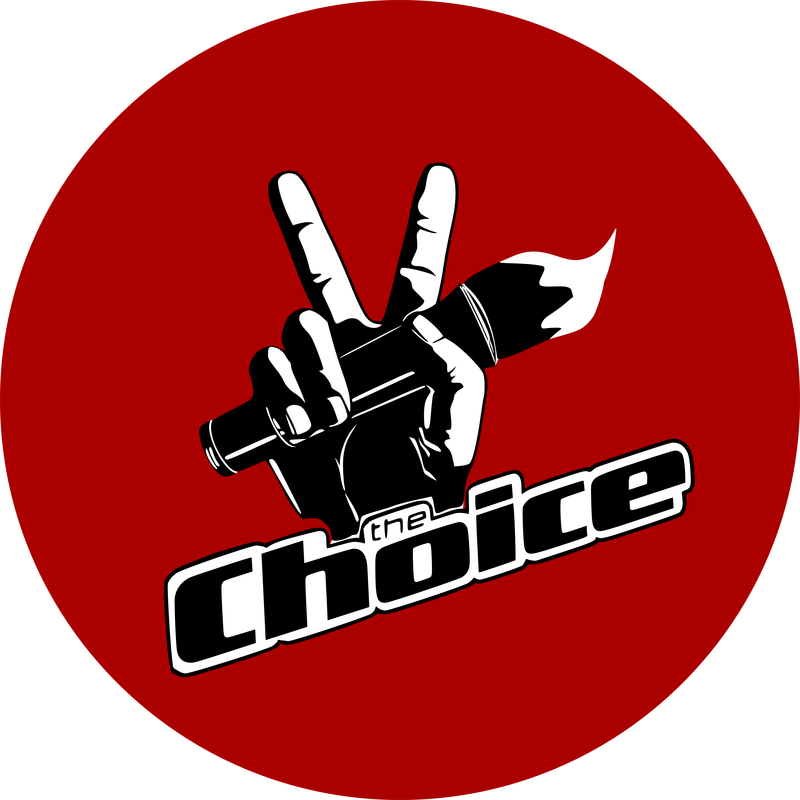 Be sure to check out @Matt7187's epic new game "The Choice", a take on competitive talent competitions. Are you ready to take your Imagineering concepts in front of a mysterious and prestigious panel of judges who will decide your fate? Sign ups begin Saturday, September 12th! Good luck house guests! I'm looking for something creative, so set your minds on making something amazing! I would have loved this challenge good luck guys excited to see the concepts. See my avatar for a hint at the final four Head of Household competition. Host: Neil Patrick Harris: A natural choice for game show host, Neil Patrick Harris is no stranger to Imagineering, having provided his voice and image to popular attractions such as California Screamin' and World of Color - Celebrate! Harris will bring a great deal of charisma and energy to this role. Synopsis: Watch as ten Imagineer hopefuls duke it out in a battle that will test their wits and altogether creative talents in this exciting new ABC game show. 7 General Players: In order to be selected to compete in Imagineer Me!, prospective contestants must send send in a pitch for a themed attraction in any Disney park, making sure to specify its theme, location, and budget. In addition, they must send in a video explaining why they of all people should be selected. Contestants will then be flown out to Los Angeles, California for an all-expense paid vacation to the Disneyland Resort. Of course, only one will have the opportunity to join the prestigious ranks of the Walt Disney Imagineers. 3 Guest Players: To christen the game and celebrate the online Imagineering fan community, the first season will host three prominent members from the popular unofficial Disney blog, Imagineering Disney. The three contestants, Fritz, Lilly, and Mitch, are all talented contestants who are more than capable of making it to the final three in the game. Episode Format: The entire season is divided into five total challenges, the last of which is the finale. Each challenge tackles a specific area of Imagineering, including dining, entertainment, shopping, attractions, and E-Tickets. The winner of the show must survive the first four challenges and win the last. Each challenge constitutes exactly 4 episodes, except for the last challenge, which constitutes a total of 5 episodes, marking a total of 25 episodes per season. Game/Challenge Format: During each round, contestants will be assisted by a professional staff, including 1 graphic designer, 1 painter, 1 writer, 1 3D Conceptualist, and 1 general assistant. These staff members are biased and transferable, meaning that they aren’t loyal to any contestant, and blindly serve whichever contestant they are assigned to. Their services can be lost and acquired depending on the various circumstances in the game. Each challenge will follow a consistent format. In the first episode of every challenge, audiences will watch the “Blue Sky Stage,” where a contestant sits in a board room with their staff members to discuss concepts and ideas for the challenge at hand, including sketches and drawings. The staff members are free to offer as much help and as many ideas as they desire, but contestants are advised to be mindful of their final decisions. In the second episode of the challenge, audiences will watch as the contestants begin to bring their concepts to life. They’ll see the artists working on the concept art and the contestants themselves directing the production. In the third episode of the challenge, the contestants must take everything they’ve got and present it in front of a live audience. During the 4th episode, they will come before the judge and be given feedback for their presentation. The winner of each round will be awarded with staff members. This constitutes the main strategy aspect of the game. If a player wins a challenge, they can pick 2 additional staff members out of the 5 categories to assist them in their presentations. This is what makes Challenge #3, the “Triple Threat Challenge,” so critical for contestants. Not only is this a double elimination stage, but the winner will be awarded with 3 additional staff members, one of which is directly stolen from another contestant. This could seriously cripple a contestant’s opponent, giving the contestant the edge they need to win the game altogether. The judging format is rather straightforward. During the last 2 episodes of every challenge, a guest Imagineer will be brought in to view the contestants’ presentations and judge them. Shooting these two episodes will not take a significant amount of time, and the guest judge will be compensated by the network to justify the appearance. While the winner will be determined by the best judge score, the contestants being eliminated will be decided by America. Viewers will vote on their favorite contestants, and the one with the lowest votes will be eliminated. Season 1 Challenges: To make each challenge more exciting, each will have a specific rule that the contestant must follow; failure to do so results in an automatic 15 point reduction. Challenge #1 Dining: Contestants must create a unique “dinner show” restaurant experience at EPCOT in Walt Disney World. The rule is that guests must incorporate at least 5 animatronic figures in the experience. Challenge #2: Entertainment: Contestants will be tasked with designing a new parade for Main Street U.S.A. at Disneyland Park in California. Everything is fair game for this one, but the rule is that it cannot use any character from ANY previous Main Street Parade. Challenge: #3 Shopping: Contestants are asked to create a unique shopping experience for Disney’s Animal Kingdom. The main rule here is that the merchandise must be 100% unique and exclusive to that particular shop. Challenge: #4: Attractions: Contestants must build a new dark ride for Paradise Pier, located directly beside Toy Story Midway Mania. The rule is that the attraction must match the aesthetic appeal of Midway Mania while being 100% original and untied to any existing property of franchise. Challenge #5: E-Tickets: In this grand finale of challenges, contestants must build an E-Ticket in any location at any Disney theme park of their choosing. The only rule is that the attraction must utilize a new ride system and be 100% original. 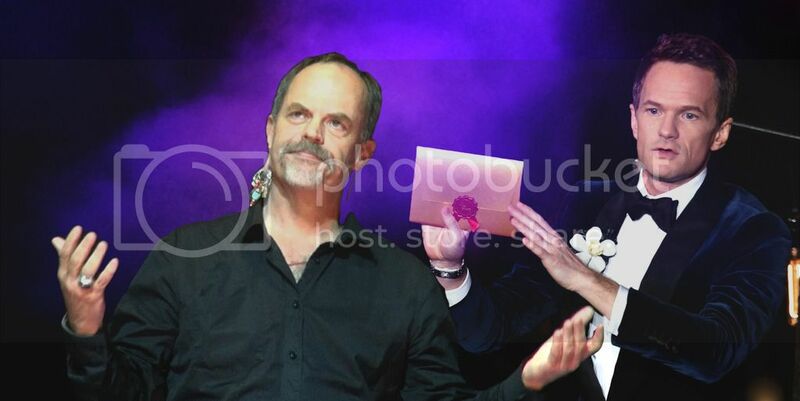 Neil Patrick Harris and Joe Rohde share the stage as Rohde offers feedback on a contestant. Host: Tom Bergeron. His warm and exciting tone--seen in Dancing with the Stars and America's Funniest Home Videos--would be perfect for a Disney-based show like this. Game Structure: Basically, this show is an adaptation of the League of Dreamers game here on the board. The whole thing starts with 12 young, aspiring Imagineers, each hoping to win and officially become an Imagineer. Each episode of the show revolves around a different land of the park. Each contestant will have to devise a concept of the land, using two or three clones per land and leaving the rest to their imaginations. The presentations are ranked based on four criteria: "Creativity", "Realism", "Detail" and "Presentation". Whomever receives the lowest two scores has to compete in a "sudden death" round, where they devise a completely original concept for the land in question. And whomever's is judged better is safe, and the loser is disqualified. Wait, scratch that...there are no losers here at the League, so they'll be known as..."un-winners". But beware...at certain times, someone can use the "Poison Apple" to automatically take someone to the Sudden Death round...or in extreme cases, out of the competition entirely! The only way to counter that is with the "Wishing Star", which grants that person's wish to be saved. The season finale involves the biggest challenge of all--a complete presentation of their park layout, complete with information on the parades and fireworks. If that's not enough--this presentation is performed in front of some of the most well-known Imagineers of all: Tony Baxter, Joe Rohde, Tom Fitzgerald, Marty Sklar and John Lasseter. Whomever's presentation is deemed the best becomes an Imagineer and the winner of League of Dreamers. This show would be right up the alley of many Armchair Imagineers, so that's why for casting, I've decided to cast three of the best in the business--@MANEATINGWREATH, @Basketbuddy101 and the original mind behind the League, @TrevorA. And there we have it: League of Dreamers. @DisneyManOne That's flattering. Great project! "Do you have the touch?" Host: John Lasseter: He's warm, he's fun, and he's in charge of Imagineering. I also consider him to be the human equivalent of a warm cinnamon roll and the closest living man we have to Walt's screen persona so who better to host a show about continuing Walt's imaginative spirit? The episodes will be formatted the same way each time. A Host segment recapping the premise of the show followed by a contestant introduction. Each challenge will have a different aspect of imagineering built into it. Week one would have a dining aspect, while week four would have an entertainment aspect, all building up to contestants having to make their own park featuring all their projects made in the past weeks. Presentations will be ranked on plausibility, creativity, and memorability and will be judged by a panel of imagineers with a guest judge for that week. Make a new, original character dining experience. The only rule is no Mickey and friends and no princesses. Design a new dark ride for Fantasyland. You must use a movie you feel is underrated and use this ride to convince people that it is one of the best. Develop a new shopping experience that is entirely original with no existing ride or intellectual property ties. Tell a story with your shop. Make a restaurant. You can choose any form you would like with only one stipulation. This must be a new key experience in the park that everyone must experience at least once. Develop a full entertainment schedule for the park. New parade and castle stage show this week with a followup the next week. Continuing the entertainment, make a brand new nighttime spectacular, parade, and fireworks. Make a brand new castle park in a brand new location that is assigned to you. Only phase one of your park will be required and you must use all your past projects in some way in this new park. The park must have at least 15 attractions and may only have less than 50% cloned experiences. Make phase 2 of your brand new Disney Resort. At least four new rides at the castle park and a second gate using an all original concept with original rides, including one ride using a brand new ride system never seen anywhere else. The winner is crowned with the chance to interview for a job with Walt Disney Imagineering and $1,000,000. Contestants will be eliminated with a mix of the judges' scores and viewers at home voting for their favorite competitor. I hope you enjoyed this presentation and I hope you are the one with The Magic Touch.